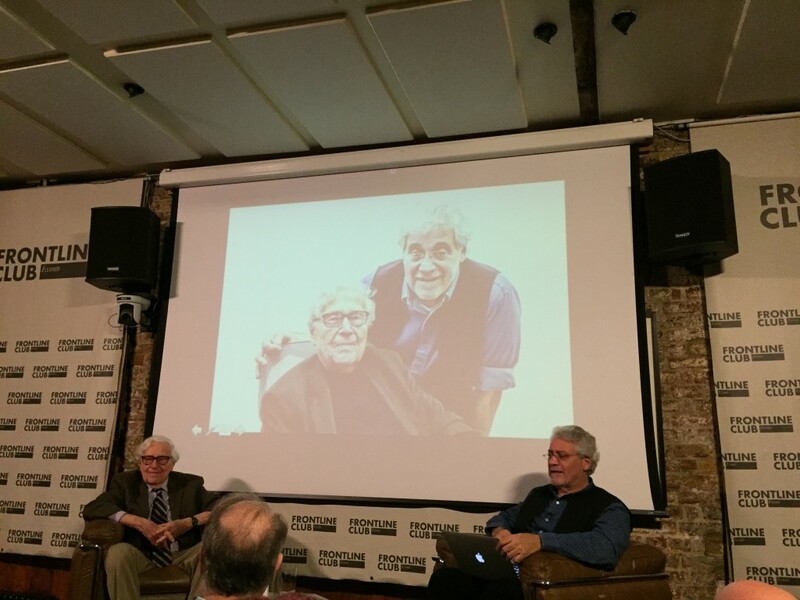 On Tuesday 11 November, John G Morris, former picture editor for Life magazine, joined guests at the Frontline Club to share his photographs and experiences in Normandy towards the end World War II. 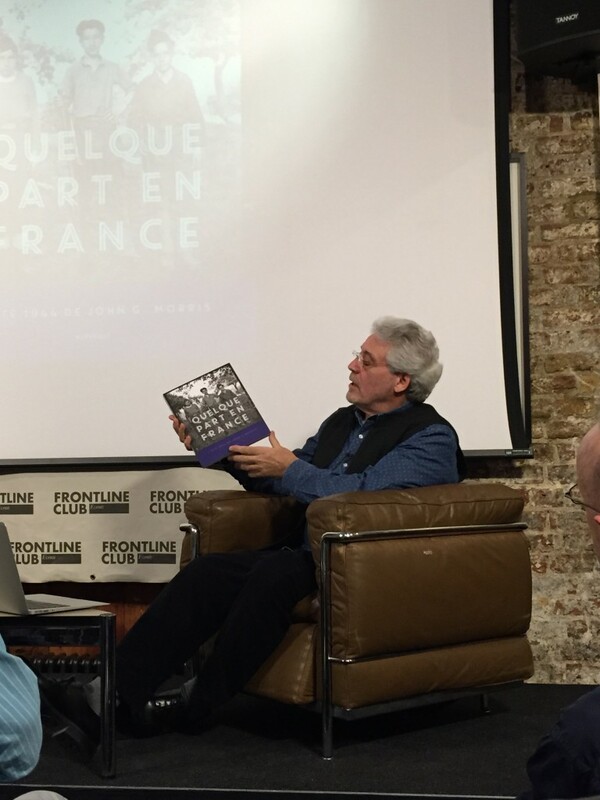 Robert Pledge, co-founder of Contact Press Images and editor of Morris‘s book Quelque Part En France, joined his good friend to give insight into the process of collecting the photographs from 1944 and creating the book, which will hopefully be published in English soon. Pledge introduced “John Morris, not the picture editor, not the historian . . . but John Morris the photographer”. John G Morris (left) and Robert Pledge (right) discuss Morris’s experiences and photography in Normandy. The compelling photographs chosen from the book, illustrated French citizens, troops and the effects of World War II in Normandy. Servicemen were forbidden to disclose where in France they were writing from, hence the title Quelque Part En France, or Somewhere in France. The pictures show “little everyday scenes in the French countryside and small towns”. And in his capturing of them he was “a very fine, subtle observer of war in a dramatic environment”, said Pledge. Robert Pledge shows Quelque part en France to guests. Despite having his photographs displayed and commended around the world, Morris can not become accustomed to being called a photographer. “From Capa I learnt to look for the human message. . . . Photographers have to also pay attention to words,” said Morris. “History can be observed on various levels and one of them is just the common level of human reactions to ordinary situations,” Morris said.